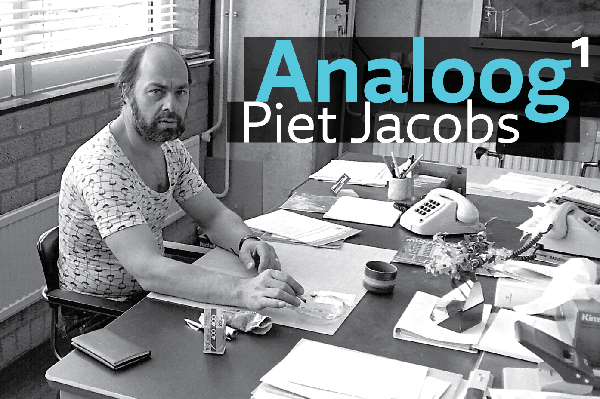 At re-type's weblog we have published a lengthy interview with Piet Jacobs who worked at Enschedé foundry for many years and, at his own private press, published the autobiography of Paul Rädisch. Ramiro, this is really excellent. Thank you so much for doing it, and for publishing it! I wish that it could be a book. You can also add me to the list of people who would love to read (and purchase) an English-language edition of Rädisch’s autobiography. Thanks for the compliments. I am glad you found the interview interesting and that Piet can get more in touch with younger generations. The the coming months I will publish more interviews to type personalities who I think deserve more exposition or have compelling stories to tell. About the English version of A tot Z, I think at some point we could try to fund it via crowdfunding but at the moment I am with too many projects on my desktop and I can't take another one. If you know of a potential editor, let him know about this possibility. It would make a nice booklet and there are good unpublished images that could be used to illustrate it. I was at the the firm in Haarlem and met with Sem Hartz. I even signed the Queen's book.